Experience a moisturising cleanse with Benton's Honest Cleansing Foam, a revitalising face wash that refreshes and hydrates tired, stressed skin. Transforming into a comforting foam, the cleanser effectively lifts away dirt and impurities from the surface and pores whilst moisturising to relieve dryness. Its slightly alkaline pH minimises tightness so skin feels comfortable and cleansed after use. Infused with a delicate rose fragrance. Free from sulphates and PEG. Apply suitable amount on your palm. 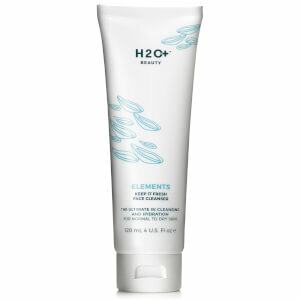 Massage into a foam and gently cleanse the face. Rinse away with warm water. Water, Potassium Stearate, Glycerin, Potassium Myristate, Potassium Laurate, Butylene Glycol, camellia Japonica Seed Oil, Sodium Lauroyl Glutamate, Sobitan Olivate, Polyquaternium-10, Portulaca Oleracea Extract, Camellia Sinensis Extract, Centella Asiatica Extract, Glycyrrhiza Glabra Extract, Anthemis Nobilis Flower Extract, Polygonum Cuspidatum Extract, Rosemarinus Officinalis Extract, Scutellaria Baicalensis Extract, Althaea Rosea Flower Extract, Aloe Barbadenis Leaf, Extract, Propandiol, Hydrolyzed Pea Protein, Phytosterol, Lecithin, Olea Europaea (Olive) Fruit Oil, Squalane, Butyrospermum Parkii (Shea) Butter, Ceramide NP, Zanthoxylum Piperitum Fruit Extract, Pulsatilla Koreana Extract, Usnea Berbata (Lichen) Extract, Fragrance.